The first investment in the Rines Angel Fund portfolio is Platelet BioGenesis, the deal was led by the eCoast Angel Network. Platelet BioGenesis is a pre-clinical stage biotech company that was spun out of Harvard in 2014 to produce the world's first donor-independent human platelets from pluripotent stem cells. Platelets are the ‘bandaids’ of the bloodstream, responsible for clot formation and blood vessel repair. Platelet Biogenesis has developed and patented a microfluidic bioreactor, and shown that functional platelets can be generated from human stem cell cultures at scale. Over 2 million Americans receive platelet transfusions annually that dramatically increase survival rates for cancer, transplant, and surgery patients. 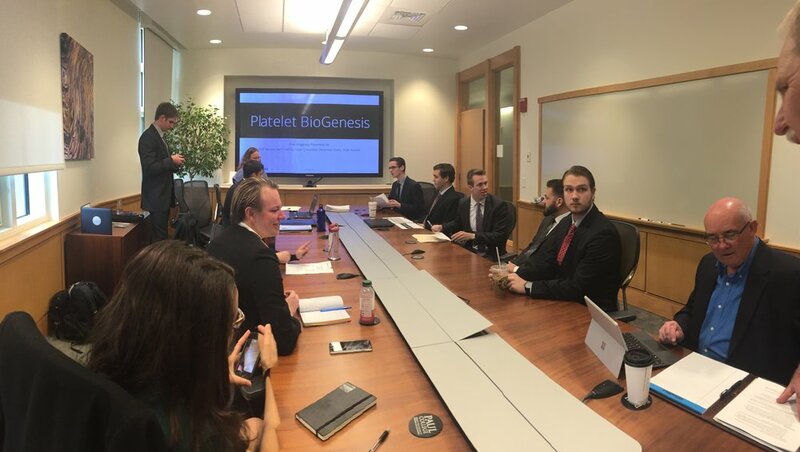 Platelet BioGenesis was selected to participate in MassCONNECT (run by MassBio), was a 2014 MassChallenge Finalist, a 2016 BioSciKin business competition winner, and has received support from the Massachusetts Life Sciences Center, and the NIH. Datanomix is a manufacturing analytics platform that offers engineers and business leaders insights from machine data. The software platform analyzes data from manufacturing equipment and infrastructure to provide real-time efficiency information and insights that is critical for operators and decision-makers to understand in workflow optimization. The company was awarded second place in the 2017 NH High Tech Council TechOut competition. Meenta instantly searches through hundreds of sequencers empowering millions of scientists to find the best price for their application. Meenta was a proud participant of the 2018 TechStars cohort and is based out of Boston, MA.